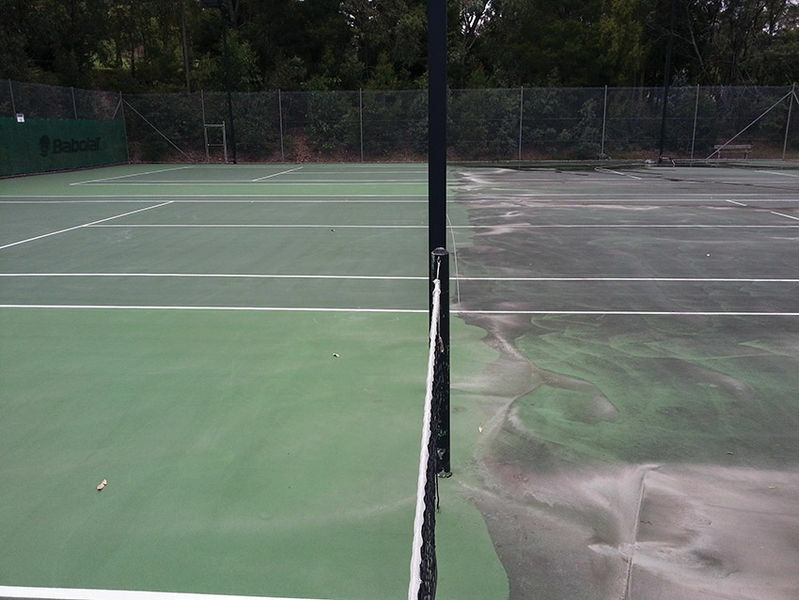 Our outdoor court cleaning service will ensure not only a better aesthetic look but a safer playing condition which will reduce slip hazards. 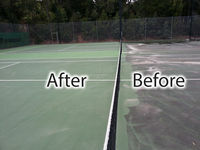 We have cleaned and restored many hard court surfaces including Flexipave, Plexipave, Rebound Ace and most painted acrylic surfaces. 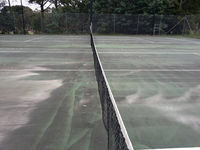 Care and experience is necessary to ensure that the surface is not damaged whilst removing surface contaminants. 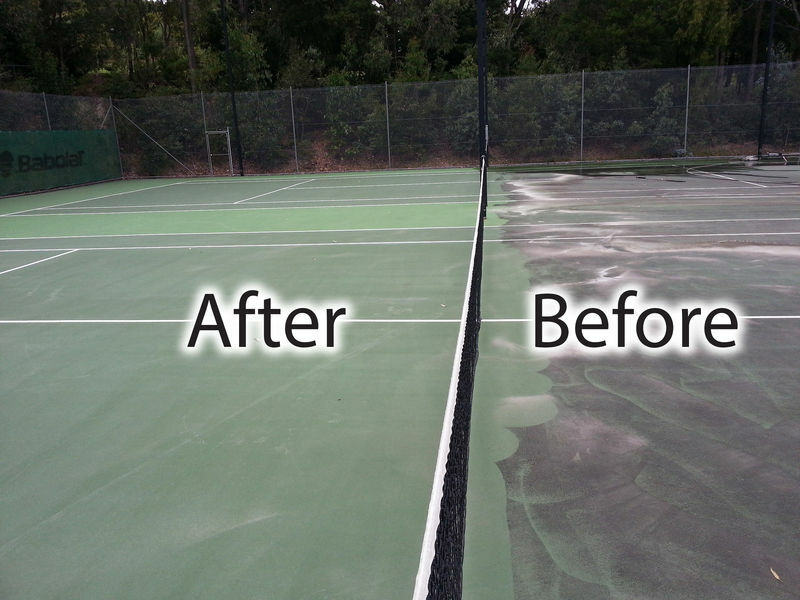 With our specialized equipment you can be assured that your court will be completely rejuvenated regardless of its current condition. We have professionally cleaned and restored many and varied courts from neglected residential courts that have not been walked on for over 10 years to courts in use every day. 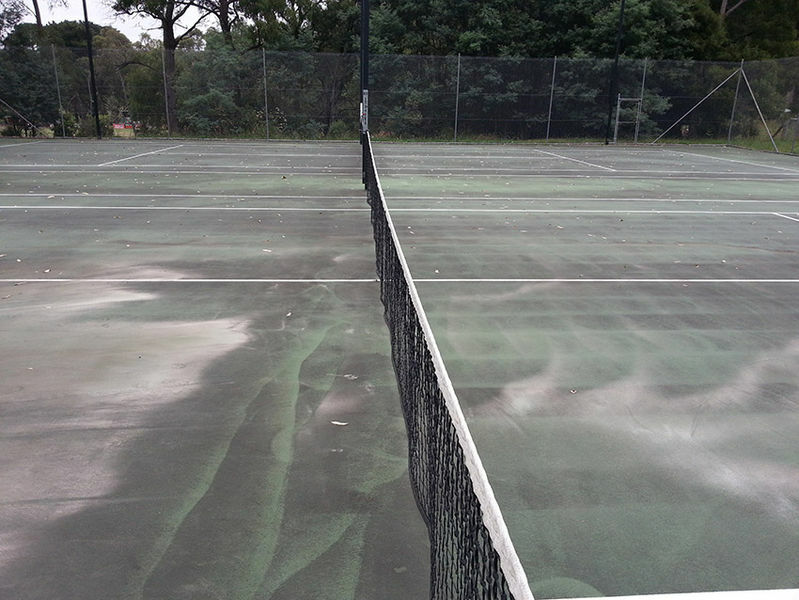 We service residential courts, Schools, Local Council courts, Netball centres and Professional Tennis centres. 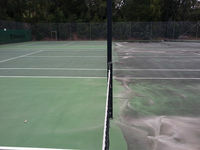 Whether you need a one off clean or a regular scheduled visit you can be assured that your court(s) will be free of surface contaminants, much safer and looking like new!